Jace Derwin, CSCS, RSCC, is the lead Sport Performance Specialist at Volt Athletics. Part of the Volt team since 2012, Jace is driven to bring professionally built strength training to athletes everywhere. Growing in up North Bend, Washington, he spent his childhood at the weightlifting gym his parents own, training and playing any and every sport. A hardworking and gifted athlete, Jace played soccer and baseball through high school, and became a dual-sport athlete in soccer and track at Seattle Pacific University, where he earned a B.S. degree in Exercise Science. After college, he immediately earned his CSCS® (Certified Strength and Conditioning Specialist®) certification through the National Strength and Conditioning Association. Today he not only works in the strength and conditioning world, but also competes in Olympic weightlifting. Since joining Volt, Jace has been essential to program design and the development of expert content. He manages Volt’s sport-specific programming, works with the Volt family of strength coaches across the nation, and acts as a featured voice on the blog and social media. Jace helps coaches implement Volt programs at both the college and high-school levels, to meet the needs of each specific team and facility. Expect Jace to bring you the newest trends and research in sport performance, highlight updates to our extensive movement library, and show off some of the extra content available for SAQ, 12- Week Conditioning, and Workout Add-ons. Jace will also share from his personal athletic experience as well, including demos, training tips, and whatever new protein shake he’s making the Volt staff drink. 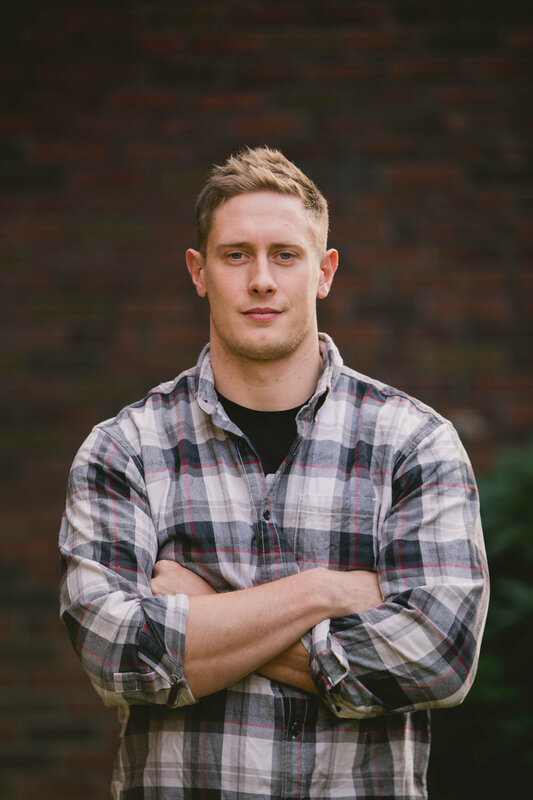 Jace's work has appeared in numerous publications, including the USA Football blog and NSCA Coach journal. Myth-Busters: "Mental Toughness is Built in the Gym!" In our Myth-Busters series, we're shedding light on popular training myths that can actually hurt your athletic performance. Today we're tackling the topic of mental toughness, and the best way coaches can help their athletes develop a determined mindset. It's sometimes easy to find good reasons to take some time away from training. But vacation or your daily routine doesn’t have to derail your athletic performance. To get the most out of your down time without allowing your performance to slip too far off-track, practice good habits that can help you get a head start after the holidays. Prevent poor performance on the field with these 3 good habits that help keep your body finely tuned—even when you’re on break. Myth-Busters: "Do Sprints AFTER Practice to Get Faster!" While "punishment conditioning" after practice can be great for team bonding, saving your sprint work 'til the end of the day may not be helping you or your athletes get faster. Read on to learn about this popular training myth and the truth about timing your speed development. You know you can’t just roll off the couch after months of inactivity, show up on game day, and expect to be successful—if you want to be competitive, you’ve got to get in the weight room. But showing up to the weight room is only one piece of the puzzle—you have to know how to utilize the weight room THE RIGHT WAY in order to see the results you’re after. Here are the top 5 most common mistakes we see high school athletes making in the weight room, and what YOU can do to avoid them. If your sport season is coming to a close, it can be tempting to attack the weight room with new enthusiasm. As the volume of practices and games dwindles, many athletes feel the need to start lifting heavy right right away, to counteract the slowing momentum of the competitive season. But while you may be itching to hit the ground sprinting, it’s important to take some time for rest and recovery before you begin your post-season championship run or look toward next season. Here are three quick tips to help you maximize your rest and recovery before you start training again in earnest. Whether your sport involves throwing, an overhead motion, or any kind of power output from the shoulders, you can rest assured that avoiding shoulder injury is key to a successful athletic career. Here are 3 weight room tips to save your shoulders and keep them as functional as possible. Athletes from almost every sport need strength and explosiveness to be competitive. Not only do these traits improve athletic performance, they also help reduce an athlete’s risk of injury—which makes the weight room, where strength and power are developed and honed, a critical component of athletic success. The hang clean is an effective movement at developing strength and explosiveness, but it's also a difficult lift to master. Here are our 3 BIG tips to help improve your hang clean! Want to add plates to your bench press? You need to maximize your stability. Read on to learn 3 tips to perfect your form and add lbs to your bench today - the last one's a little weird, but trust us: it works! It is no secret that some baseball coaches live to hate the bench press. The bench press develops the muscles of the chest and anterior shoulder, and, when used too often in strength training programs, can cause tightness and imbalances that put baseball and softball players at risk for shoulder injury. But does this mean we should simply ditch the bench altogether? Scott Colby, M.A., CSCS, lends his expertise on the relationship between the sport of baseball and the bench press, and makes a case for keeping this controversial lift in your training program. The off-season is almost over. But does that mean your resistance training should be? Coach Jace explains how in-season training can improve performance and prevent injury—as long as it's done right. Recovery is the unsung hero of performance development. Ask any NFL player on a bye week: maximizing your recovery times so that you can get back in the weight room or out on the field is a huge advantage. Managing when to rest, when to take it easy, and when to get back out there and go 100% is a product of how well you manage your post- and pre-training maintenance. If you plan on asking other people to pick things up for you for the rest of your life, feel free to skip learning how to deadlift. On the other hand, if you plan on being a strong, capable, powerful athlete, the deadlift is an essential tool in your movement toolkit. Even for non-athletes, the deadlift is worth learning in order to develop the mechanics to interact with objects in your environment—furniture, luggage, etc.—in a safe and efficient way. To learn the safest way to progress athletes into the deadlift, read on. The benefits of having a strong grip go beyond just making a good impression when shaking hands or opening jars of tomato sauce. There are serious performance benefits from developing some good, old-fashioned “old-man” grip strength. Sadly, a direct focus on increasing grip strength is often neglected in strength training programs—and more grip strength can translate to better sport performance. Increasing grip strength for sports like baseball, lacrosse, and hockey helps improve the force transfer from the arms through the bat or stick. And contact/combat sport athletes can benefit from having hands like vices, which make tackles and take-downs much harder to escape. Adding focused grip work into your program doesn’t take much time or planning, and can keep your workouts fun by challenging new areas of improvement. If you’re still working last minute to find that one perfect gift for the Volt Athlete in your life, rest assured it's not too late. We have a few gift ideas that every athlete will love! The bench press has gotten a bad reputation. The name alone evokes a meat-head stereotype and countless lists of "exercises you should STOP doing. There is a recent, sweeping anti-bench philosophy under the pretense that the bench press lacks functionality and is over-utilized in training. And I am in agreement...kind of. Once a year, athletes rejoice in jubilation at the return of #ThanksGaining: the annual celebration of maximum food consumption. It is a time honored and cherished tradition. A brief interim from training allows us all to refeed and replenish our systems. On this day there are but a few simple rules that we as athletes must obey. I give you now, the 10 Commandments of ThanksGaining. Like all things worth doing, practicing quality repetitions paves the way for success. This is especially true for pulling a bar from the floor in weightlifting. Pulling a bar from the floor without proper positioning, bracing, or tension places you in jeopardy of developing bad habits—or worse, running the risk of injury. Here are Coach Jace’s 3 Tips for getting your pull right. Being "jacked" is in. The 80's bodybuilder-style action hero is back and dominating in blockbuster films. Even the action figures of children's toys are starting to take on comically collossal appearances in size and mass. And I'm not knocking it. In fact, I think this newfound popularity of a muscular appearance is pretty cool. But there is the key word, "appearance." There seems to be a slight disconnect between what being strong LOOKS like, and what being strong ACTUALLY means. The shoulder joint is the most mobile joint in the human body. It's tasked with a variety of challenges in daily living that require both a large range of motion and high levels of stability. In sports like baseball, volleyball, and swimming, high degrees of force are generated through the shoulder. Well-developed and balanced musculature is needed to keep a healthy and fully functional shoulder for competition. The shoulder joint is highly predisposed to injury due to the demands placed on it in everyday life, throwing and overhead actions in sports, and performance training. With enough training time under your belt, the gains seem to get harder and harder to come by. Eventually you'll have to implement more variation into your training to continue driving adaptation. If you haven't hit a PR on the squat in a while, a few specific squat variations can help you continue to improve without altering your training too much or interfering with your current program. The variations below are easily implemented and can be just what you need to mix up your training stimuli. In this "Tools of the Trade" series, we highlight important training tools, methods, and protocols to help improve performance and health. This post focuses on the quintesential staple of relative strength, upper-back development, and proper shoulder function: Pull-Ups. In this "Tools of the Trade" series, we highlight important training tools, methods, and protocols to help improve performance and health. This post will focus on one of the most foundational tools in improving power-endurance, acceleration, and mental toughness: Hill Sprints. Pro Tip: Hook-Grip Your Cleans! If you've been having a hard time maintaining your grip on your hang cleans, or have been feeling the fatigue set in on sets of 3's, a quick way to alleviate your issue is start using a hook grip. The hook grip is the go-to method of choice for every high-level weightlifter, and is only typically used on Olympic weightlifting movements (cleans and snatches). First things first: the classics never get old. Just like Led Zepplin and AC/DC, barbells and bumper plates NEVER go out of style. When you have both, there’s really not much else you need in terms of training tools—but if you’re jonesing to add something new to your training room, it’s easy to get bogged down by whatever latest Thing is new/fancy/trendy. When it comes to what’s best for your athletes, it’s hard to determine which tools will ensure you’re getting the most out of your time AND the most out of your money. Below are a few items I've found to be really worth the price and can be used on any given training day. These items are also incredibly accommodating to ALL skill levels and can fit the needs of your most advanced to your most rookie of athletes.